There’s no escaping the fact that median unit prices are slowing down across most of Australia’s capital cities. Domain Group internal data shows price declines in the 12 months to September 2018 up 6.8 per cent along the eastern seaboard and according to ABS, new development residential approvals are down 31 per cent nationally over the same period. The numbers tell us that developers will have to be more strategic in their approach to engaging a shrinking pool of buyers. Recent trends show that those who execute an integrated marketing campaign with a heavy digital focus are more likely to reach an engaged and active audience. 2018 research conducted by Domain in partnership with Vision Critical show that potential buyers actively turn to online property listing portals above all other media channels, right throughout the process of purchasing property. These digital platforms are cornerstone to a successful marketing campaign for new projects. The average number of touchpoints a property-seeker comes into contact with before buying a new home is increasing and due to the modern day property seekers preference for property portals. Property seekers are spending more time reading multiple property related articles, comparing and evaluating similar properties and using property finance tools such as a home loan calculator. 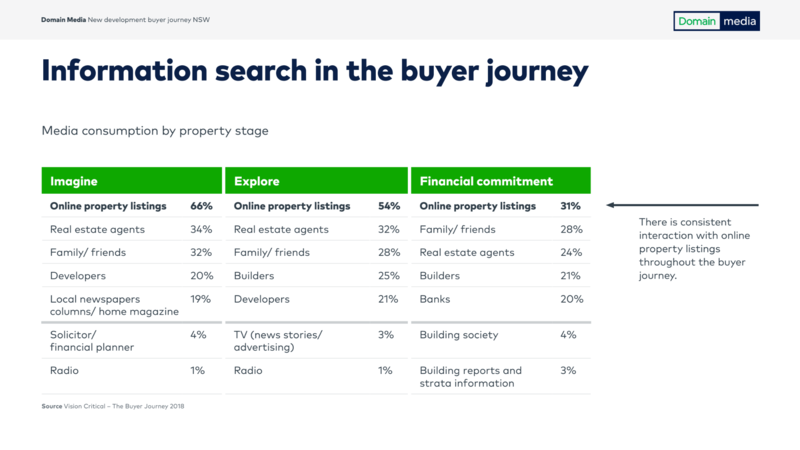 More than ever before, buyers undertake self-directed search and desire to be more informed about their purchase decision so that they can be filled with utmost confidence in their property purchase. These new habits by property seekers has contributed to Domain’s digital audience growth. To successfully market a project, a marketing campaign will take an educated and informed approach by using data and insights collected from an audience of property seekers digital trends. An innovative developer will incorporate the data and insights available to them and approach a successful marketing campaign with a test, measure and learn approach. 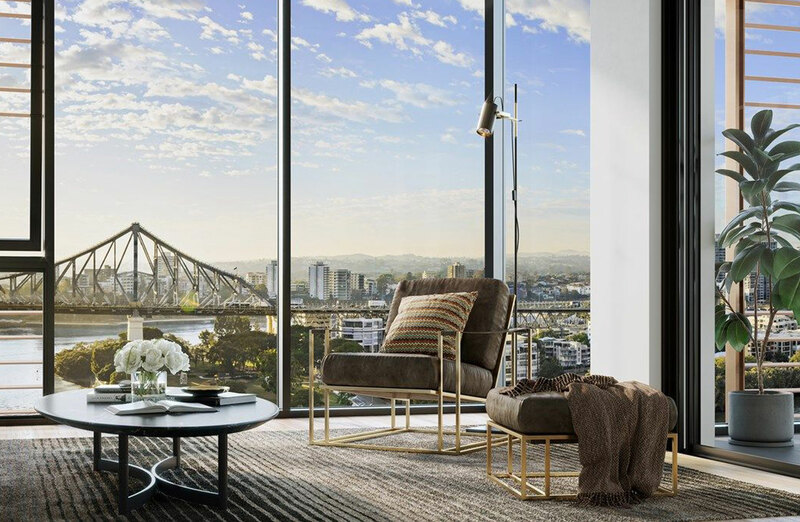 Eric David, marketing manager at CBRE Residential Projects Brisbane used a mix of digital channels to market 443 Queen St, an elegant riverside apartment building at the end of Brisbane’s Queen Street boulevard, and hails the campaign a ”complete success”. “It was a very high-end project so we had to target high-end buyers,” David said. “We love digital because we can really target that demographic quite easily. While CBRE continues to take a “mixed approach” to marketing campaigns, David said 80 per cent of the company’s sales inquiries come from digital sources, with an increasing reliance on social media and audience extension. To learn more about how you can incorporate digital marketing to create an integrated, informed and innovating project marketing campaign contact developers@domain.com.au or visit www.domainmedia.com.au. The Urban Developer is proud to partner with Domain Media to deliver this article to you. In doing so, we can continue to publish our free daily news, information, insights and opinion to you, our valued readers.